Sam and Dean burst onto the scene only to find blood everywhere and a video saying play me. The brothers watch the video. The video is of two friends, Mike and Brian, and their recorded escapades. They run into Kate, who later hooks up with Mike. After normal interactions, Mike is attacked in the woods and bitten. He transforms and becomes a werewolf. Brian is jealous and wants his powers too and discovers the Professor that bit Mike. He blackmails the Professor into biting him. Mike accidently gets the urge to attack and kills a group of harassing guys. 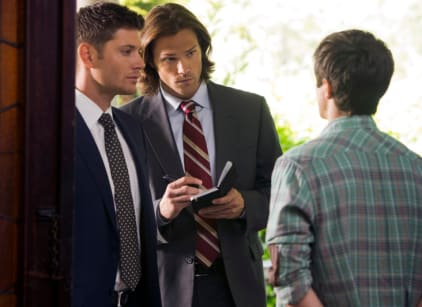 Brian explains that the Winchester Brothers, who they think are the FBI, won't come after them and instead kill the Professor. They discover the video camera. Brian and Mike fight and Mike is killed. Brian bites Kate who then kills Brian. Kate tells whoever is watching the video that she didn't choose this life. Sam and Dean decide to let her go, unless she acts out and kills someone down the road. Kate is able to go on living.